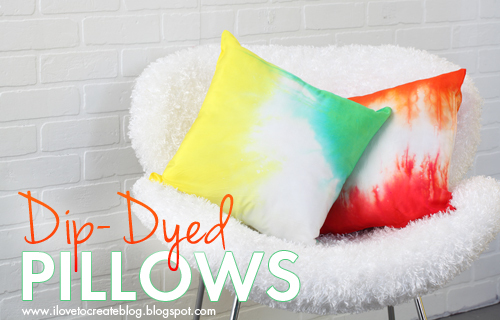 Making pretty dip-dyed pillows is so much easier than you might think! 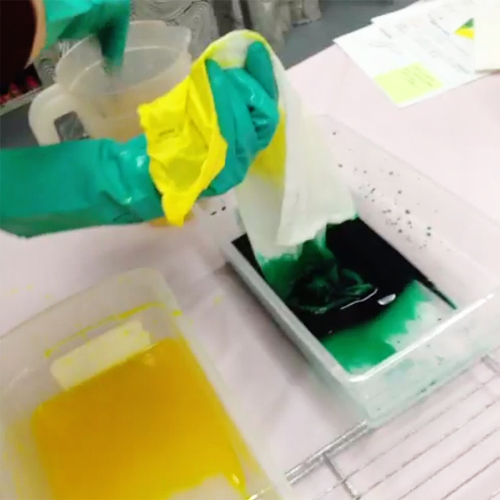 We love using our Tulip One-Step Tie Dye on silk. Silk is the best cause it just absorbs the dye and stays so super vibrant! 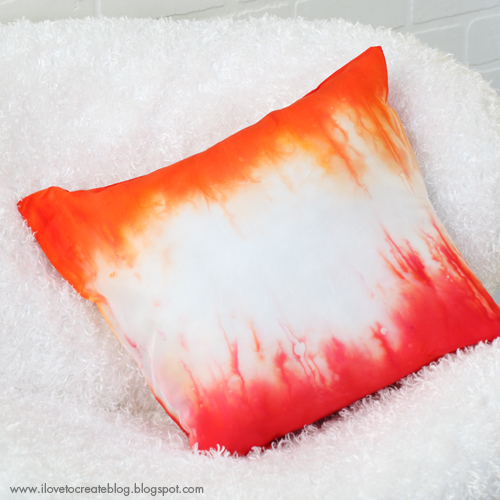 These pillows were created by designer Lauri Eaton (she's the queen of tie dye around our studios). Here's the easy to follow step-outs of how she makes them! 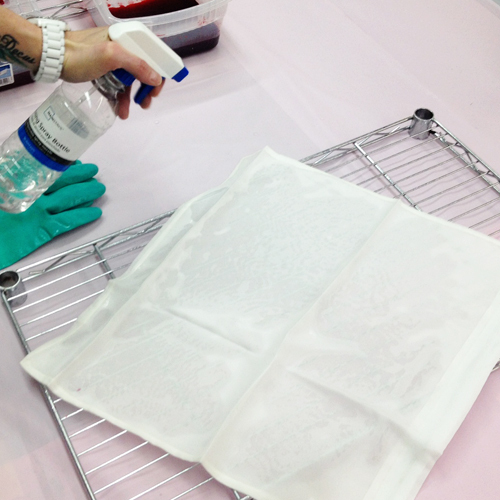 Before you begin: Set up your work surface by laying out your Surface Cover, cooling rack, and supplies. Select and fill up colors of your choice, then pour the colors into your shoebox containers. Also, Lauri planned out her designs in a sketch before she started. This helped her make a more deliberate decision when it came time to dye! 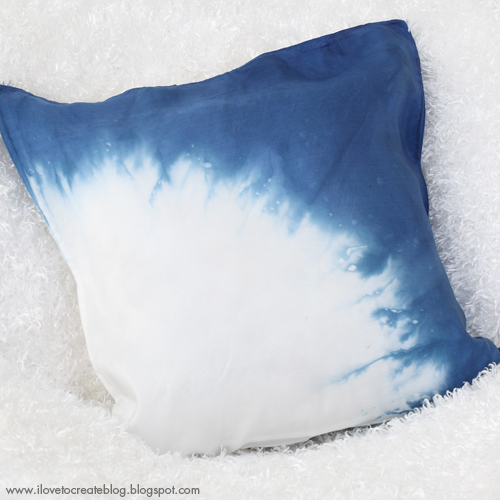 Wet pillow form by soaking under sink and wringing out or by lightly misting with water in a spray bottle. 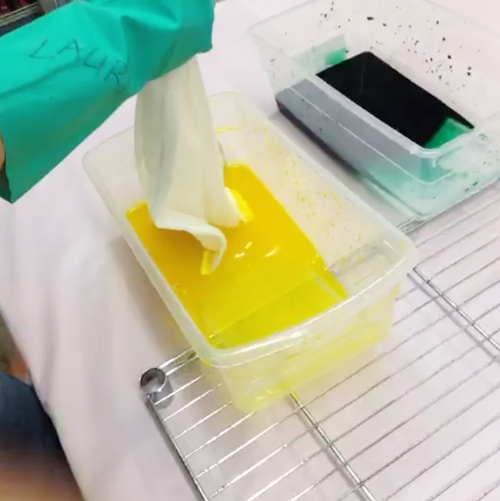 Put on your gloves, now scrunch cover horizontally and dip one end into yellow and carefully squeeze out excess. 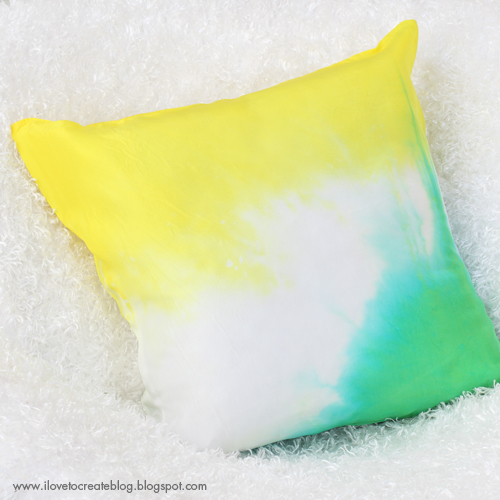 Carefully unscrunch pillow and dip one opposing corner into green dye. 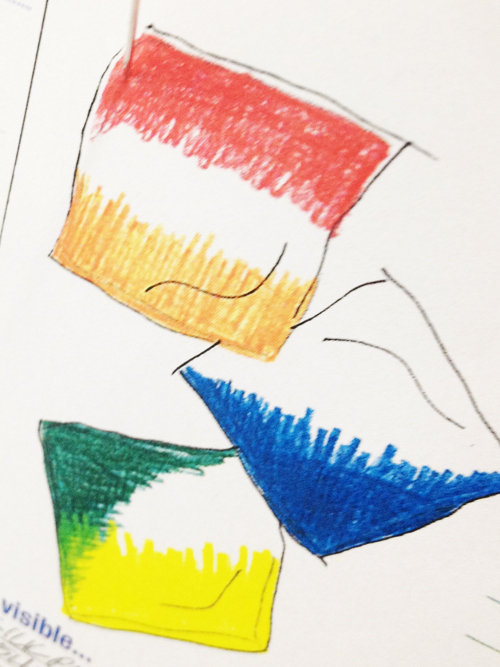 You will want to make sure to leave white in the middle, only unless you choose to let the colors run together. Lay onto drying rack and cover with plastic. Let set for 8 hours, then rinse out all the dye. Wash and dry by itself for the first time, so you won't get dye on other items. After they were washed and dryed, this is how all the pillows turned out! For the blue pillow, Lauri actually added a little bit of salt around the edge. That's why you see the little flecks in the dye! What color combination of dip dye would you like to try? There's so many possibilities! 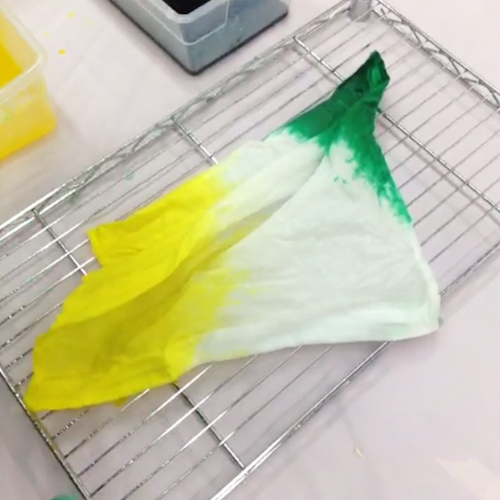 You can also use this technique for other items including shirts, socks, pillowcases, and more! Cool! What a fun and simple project! I love the colors you chose for the pillows! !